In this latest video from 80s Casual Classics, Neil Primett highlights some key styles of the season such as the Sergio Tacchini Masters track top. 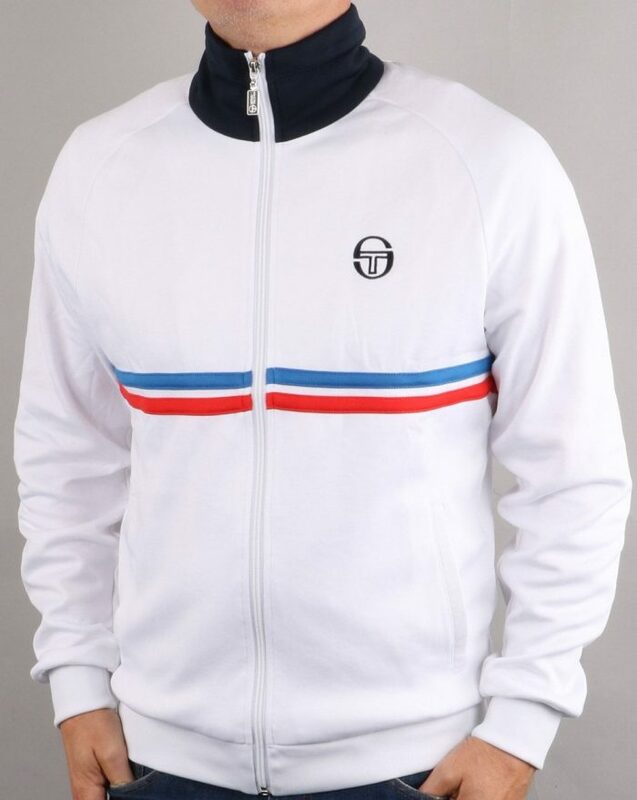 When it comes to classic Italian sportswear from the 80s it doesn’t really get much better or more nostalgic than Sergio Tacchini. With various styles worn by tennis legends such as John McEnroe, Tacchini really made a name for itself in the original casual era for its sportswear designs and sought after ‘Made in Italy’ label. We have now introduced some classic Tacchini designs such as the Sergio Tacchini Masters track top in a range of classic and updated colourways alongside classic McEnroe style polo shirts, as worn by the American legend, as well as a collection of track top inspired t-shirts. 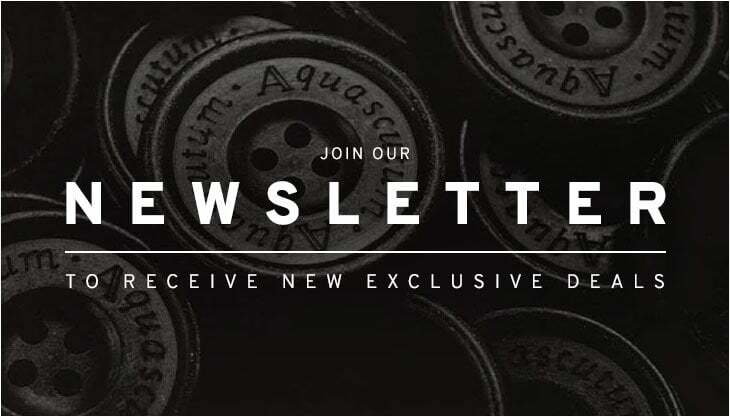 In the words of Neil, “we’ve got one of the best Tacchini collections we’ve ever had”. For the latest collection we’ve re-introduced the iconic Masters track top in its original sky blue and navy colourways as seen on Frankie (Danny Dyer) in the Business from 2005. The Sergio Tacchini Dallas is also revived in some new colourways with a retro 1982 England kit vibe as well as a limited edition mustard yellow colourway. We’ve also got the Sergio Tacchini Orion track top, another iconic McEnroe style in the famous yellow Bex colourway from Nick Love’s The Firm from 2009 as well as the Sergio Tacchini Star track top in the iconic white colourway. Above: The Sergio Tacchini Masters track top in royal blue/white now available at 80s Casual Classics. Above: The Sergio Tacchini Dallas track top in white/royal/red now available at 80s Casual Classics. 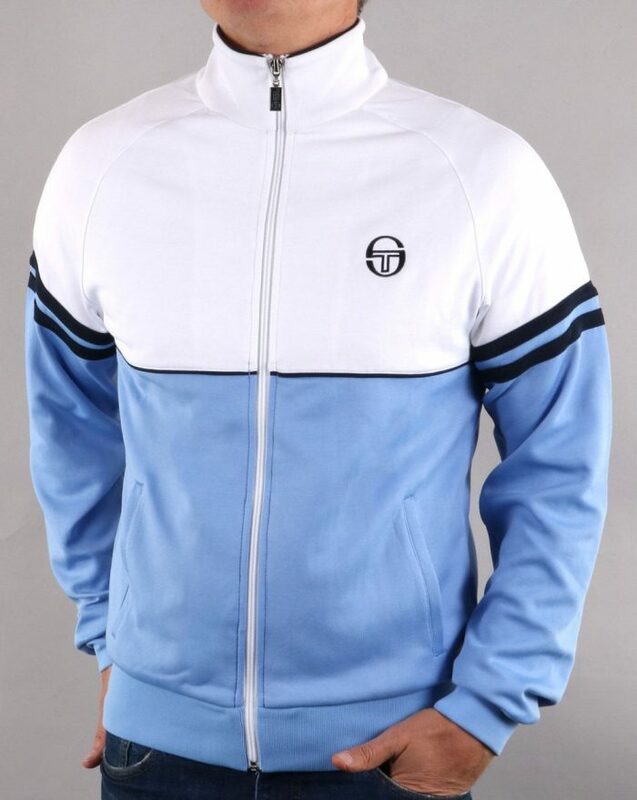 Above: The Sergio Tacchini Orion track top in sky blue/white now available at 80s Casual Classics. For 2019, Tacchini have also revived the Young Line collection, the iconic polo shirt as famously worn by McEnroe in 1981 with the legendary “You Cannot Be Serious” rampage at the umpire. 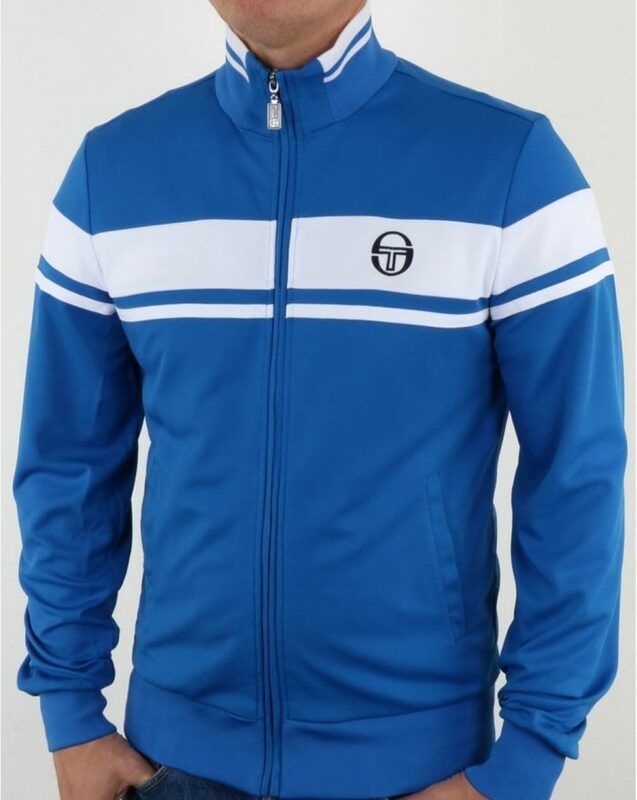 The style was worn alongside the Sergio Tacchini Masters track top, similar in style although in polo shirt form and was also worn by the original casuals. We’ve also introduced the New Young Line polo shirt which was also worn by Pat Cash as well as the Super Mac polo shirt which is based on the Dallas track top in some classic and fresh colourways. Other highlights include a vertical striped polo shirt which harks back to the designs seen throughout the original 90s Acid House era. 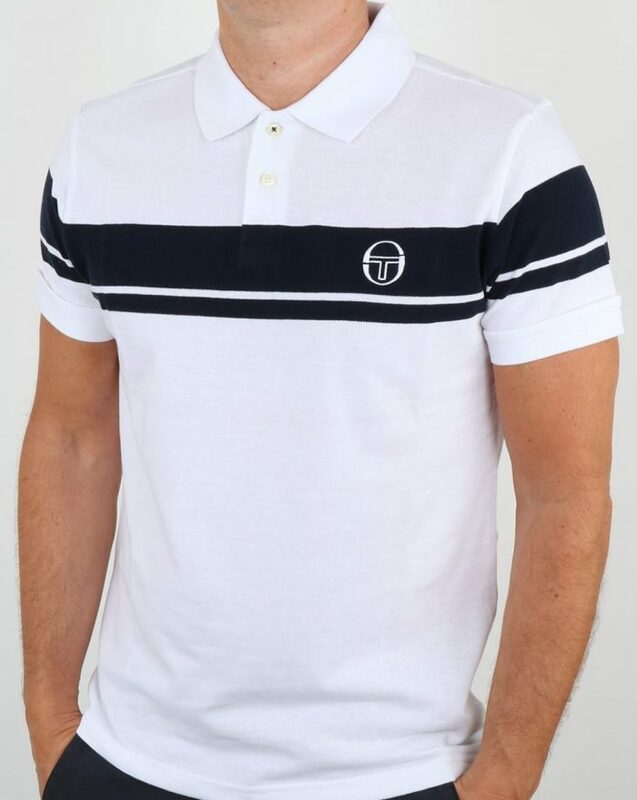 Above: The Sergio Tacchini Young Line polo shirt in white/navy now available at 80s Casual Classics. 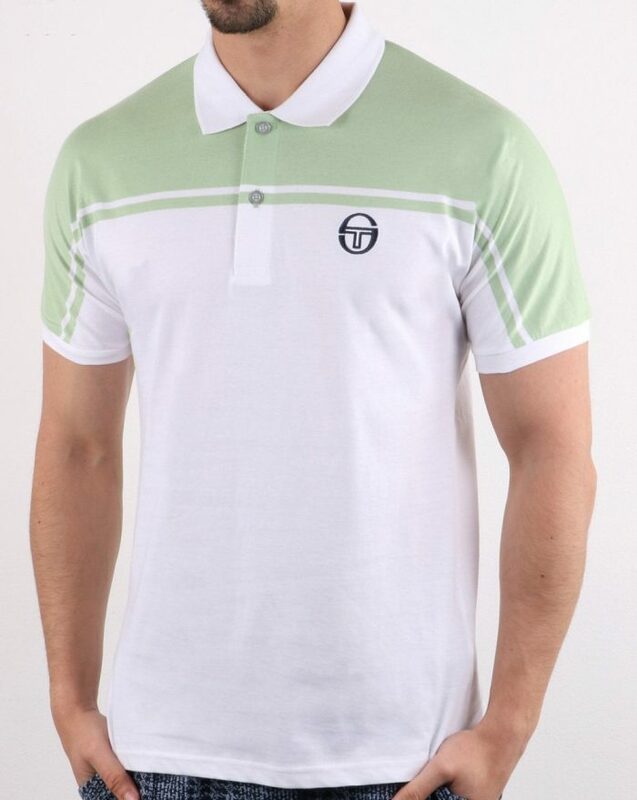 Above: The Sergio Tacchini New Young Line polo shirt in white/green now available at 80s Casual Classics. 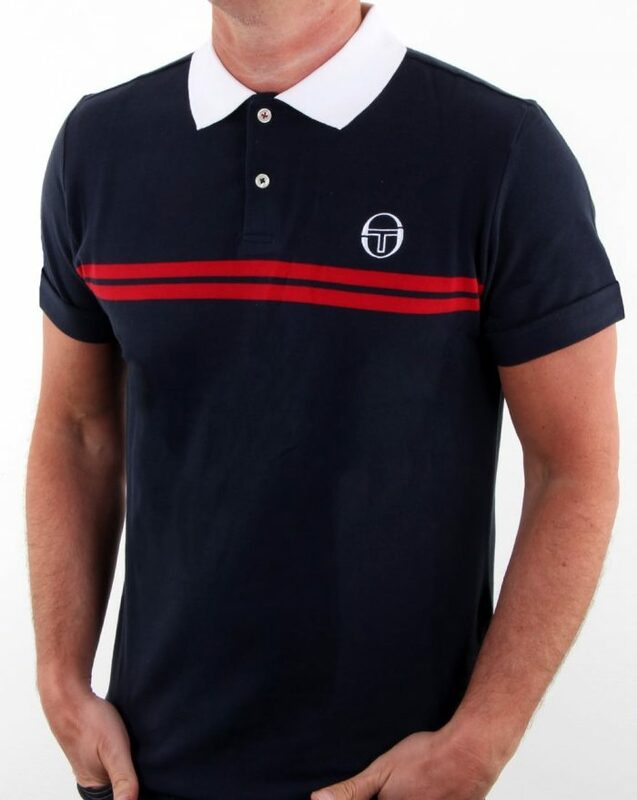 Above: The Sergio Tacchini Super Mac polo shirt in navy/red now available at 80s Casual Classics. In the 80s Casual Classic t-shirt department we’ve also introduced some exclusive Tacchini track top inspired tees for the summer months. Original track top designs including the Sergio Tacchini Masters and the Dallas have been re-invented into a new t-shirt form. Both styles are available in some exclusive classic and fresh colourways. 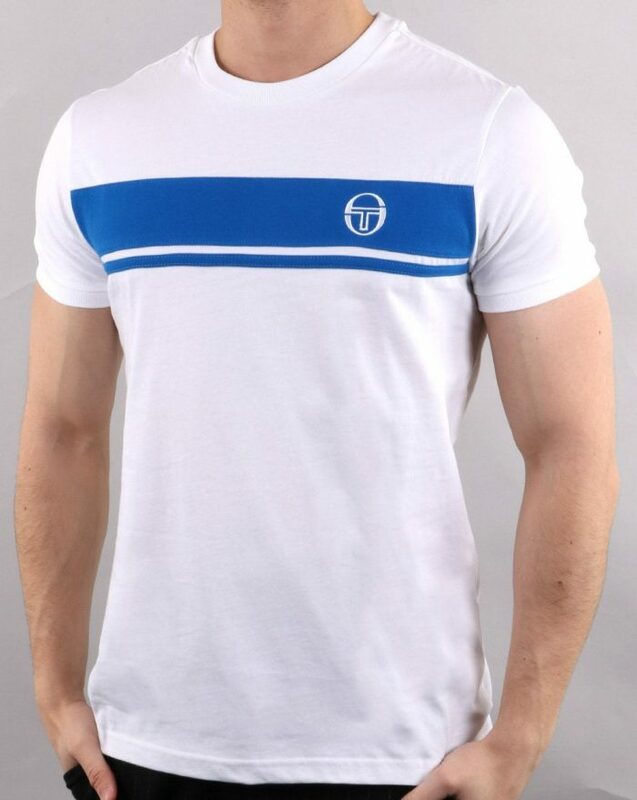 Above: The Sergio Tacchini Masters t-shirt in white/royal now available at 80s Casual Classics. 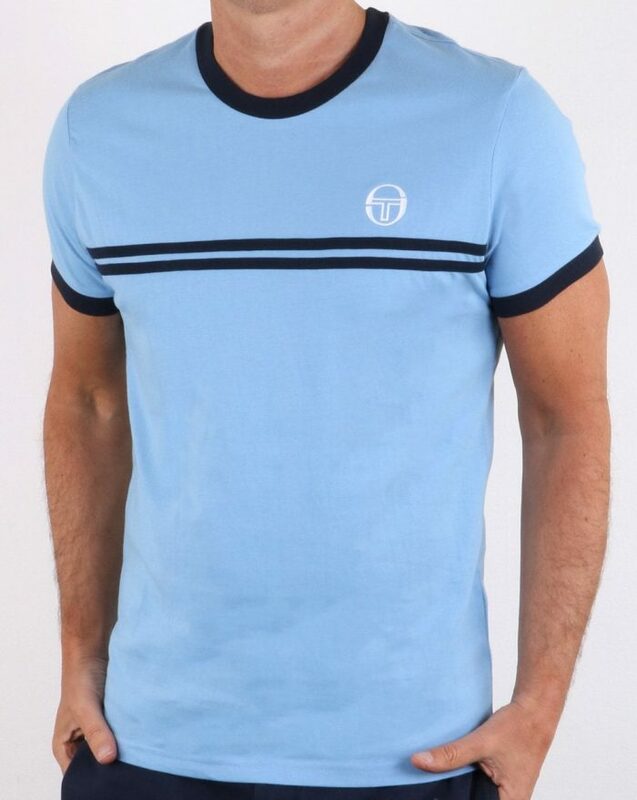 Above: The Sergio Tacchini Super Mac t-shirt in sky blue/navy now available at 80s Casual Classics.